Love your recipes! My hubby and I don’t do “hot” sauces, what can I use as a substitute? This is probably not the best recipe for you, I have others that are not hot. This was so unbelievably delicious!! My husband who is the pickiest eater ever cleaned his entire plate. We are not blue cheese fans so the only change I made was I used 1/3 less fat cream cheese in place of the blue cheese. I also used my mini food processor to chop up the veggies. I will definitely be making this again!! We made these last night and they were delicious! They dontvsell the blue cheese laughing cow anywhere near me so I substituted with 4 tbsp of light whipped cream cheese and 2 tbsp of Blue cheese. Mine came out as 5 points but they were so gooey and cheesy it was worth the extra point! My husband also loved it, I feel like this will be added to the regular rotation. Unsure of the point/calorie difference, but I started using 1/2 a wheel of Cambazola and it has the same consistence that the Laughing Cow did. Have made this many times and it’s my husband’s favorite! Has this been updated to show new Freestyle points? Glad you enjoy them! Yes it has. As other comments have mentioned, the laughing cow bleu cheese has been discontinued! You should consider updating this recipe, I’d really like to make it! making it now. I’m sure it will be tasty as all your stuff is, but recipe as written is flawed. 1. the mix of blue cheese and ingredients at least from me has no consistency like that. 2. Am I “rolling up” in the bowl with sauce? 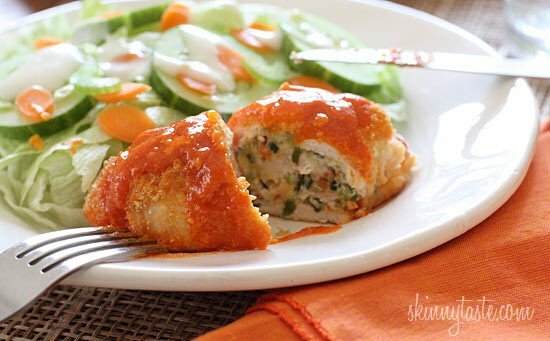 It says to roll in sauce, is the chicken fillet already assembled at this point? I got nothing like what you have pictured. Love you, but struggling with this one. This was fantastic! My boys love chicken and hot sauce! This adds some veggies to the dinner. 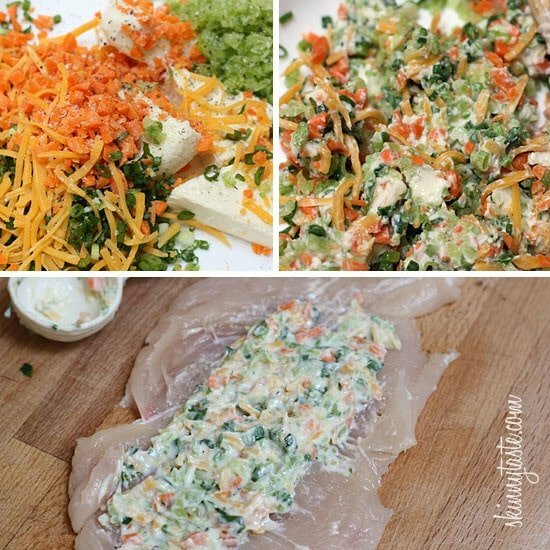 I recommend making the side salad with the homemade blue cheese dressing….SO Good!! I can no longer find the Laughing Cow Blue Cheese in Ohio. This is such a good recipe that I’m wondering what is a good replacement? Any laughing cow cheese would work! I can’t believe that I have never made this. Do you think you could substitute the ritz crackers with whole wheat bread crumbs? I can no longer find the Laughing Cow Blue Cheese. 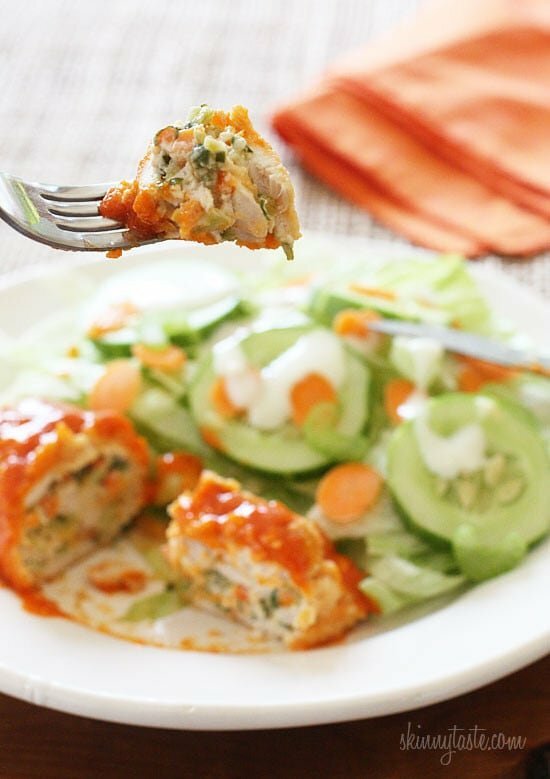 This is one of my favorite recipes! Can you make a suggestion on an alternative item? You can use the original cheese. I love your site and this might be my all-time favorite! Just came back to check on a detail and saw it was freezer friendly. Would you cook them fully before freezing them, or freeze them ready-to-bake? I just made this for dinner and it was AMAZING. I had bigger chicken breast so cooked a little bit longer but really delicious. Thanks for sharing!! OMGoodness! Thank you for this. This was truly yummy. Followed to a T, except used garlic and herb laughing cow and used a local hot sauce called Hank Sauce. Cannot wait to have leftovers tomorrow, and the next day…..
My fiance and I love your recipes and use them pretty much every day. We are making this one tonight. Every time I try to pound chicken breasts , they always split and get holes in them and I can’t get them as thin as yours either. What’s your secret? I’ve tried cutting the breasts in half lengthwise, while still frozen, then pounding gently, but they still split and get holes 🙁 HELP!!!! You can buy them thin, or ask the butcher in your local store? Instead of laughing cow cheese I used greek yogurt and a dollop of cream cheese and stirred in some buffalo sauce to the filling to kick up the heat through out the dish. This is absolutely delicious! I used the sun dried tomato wedges since that was what my store had. Adding this to my regular meal rotation. 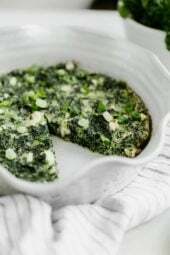 This is my favorite recipe from you! I used garlic and herb spreadable cheese since laughing cow no longer makes the blue cheese. These are amazing and very easy! 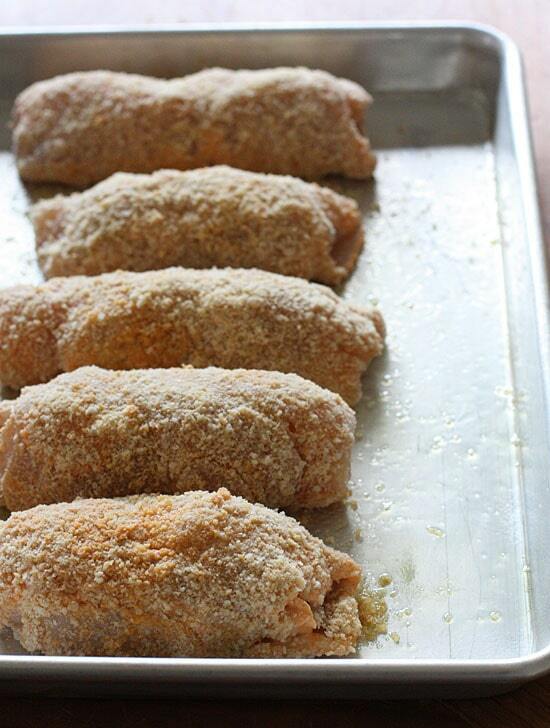 You could even cut the chicken into small pieces and make little party sized chicken (like your stuffed cordon bleu). These are definitely on my schedule once a month. This recipe looks delicious as do all of your recipes! I fell upon your blog a little over a month ago and my husband and I have been nothing but satisfied! I do not like blue cheese so I was wondering what I could replace it with. Could I use one of laughing cows other flavors? My husband loves spicy food and anything Buffalo, so tried this and we both loved it. Here are changes I made. Since they no longer have Laughing Cow Blue cheese, I got reduced fat crumbled blue cheese Publix had (3 oz = 4 wedges). Also I got two large chicken breasts, removed tenderloins and cut them HORIZONTALLY in half to make them thin. Then I put them in large baggie and pounded to make them an even 1/4 inch thick. Salt and peppered both sides, then spread stuffing and rolled them. Then wrapped tightly in foil and twisted ends of each breast and popped in fridge for 45 minutes. Really helps them stay together during breading process. Rather than put on tray, I put them on a rack in a sheet pan, with foil on bottom for easy clean; no need to oil the rack. Delish!!! Hi there! I love your blog and cookbook! I want to try this recipe, but I'm slightly allergic to celery. I'm trying to think what I could sub instead. I know it goes with the whole hot wing theme, but any suggestions? Instead of Laughing Cow Blue Cheese, I have been using two wedges of the regular low-fat Swiss Laughing Cow and then two tablespoons of Marzetti Light Blue Cheese dressing. Also, Gina – when I put this into my WW app, it showed up as 4 points+, not 5? I made these the other day and they were delicious! I didn't realize LC bleu cheese had been discontinued, I just thought I couldn't find it. I substituted with 3 wedges of LC light Swiss and some Gorgonzola for that bleu flavor (I was using it in a salad anyway). I also used a panko/Parmesan breading instead of the ritz because I had a bunch leftover from making baked zucchini and eggplant. Laughing cow discontinued bleu cheese..now what?!?! This is my fave!!! This has become a weekly staple in our house!! it's delicious. I LOVE this recipe. So good, I make it often. This last time I made it, I thought I could save time by putting all the ingredients for the "stuffing" in the food processer. BIG mistake. The celery liquified and it was too watery to roll up. Lol… won't be doing that again! i have made this twice and i love it! I made this for dinner last week to test out before my super bowl party and my husband and I loved it!! I didn't have ritz crackers, so I used regular breadcrumbs which came out good too (not sure if that makes it more calories though). Thanks for another great recipe!! I made these for dinner yesterday. Will now be a new family favorite. Delicious! Oh and I also used blue cheese crumbles because my store didn't have the laughing cow wedges! It was really good!! Didn't have mayo so I used plain fat free Greek yogurt instead. Also didn't have ritz so I used panko crumbs. Turned out great! Made these last night and was a HIT at the table! I doubled the recipe to make enough for 5 people. However, I made a NEW batch of sauce when the chicken was done baking to pour on top. The previous sauce batch had dipped raw chicken meat in it. Just a good tip. I also didn't have laughing cow blue cheese wedges. So I bought an enchilada cheese block and cut it into wedges. Perfect! I couldn't find the Laughing Cow BC wedges so I used 3 tablespoons of light cream cheese mixed with 2 tablespoons of blue cheese and they came out great. Calorie wise, it was the same as 4 LC wedges so it didn't change the nutritional information. YUM!!! Loved it. My store also didn't have the blue cheese Laughing Cow wedges. I ended up subbing 1/2 cup of blue cheese reduced fat crumbles and it tasted great. Of course, my grocery store had every variety of Laughing Cow wedges except for the BC. Do you think if I mix Plain laughing cow Swiss wedges with blue cheese crumbles I will get the same effect as if I used the laughing cow BC? This was AMAZING! I used plain Greek yogurt instead of the laughing cow and also replaced the carrots with orange peppers. I also added sriracha because I like it more than hot sauce. I had it with sauteed zucchini w/minced red & yellow peppers and onions. Thanks for the post! This was DELICIOUS! The only minor change is I used Frank's Wing Sauce instead of Frank's Red Hot Sauce, because I'm a bit of a hot-food sissy. It was just so good, and my husband loved it too. I love that it sneaks veggies in too! Thanks so much, we'll be making this again! I was planning to make this for dinner tonight but just found out earlier this week that I can't eat any dairy anymore. Any suggestions for what to use in place of the laughing cow? made this for dinner tonight. the only things i did differently were use panko and the regular low fat swiss laughing cow- it came out perfect! my husband and I both agreed it was our favorite meal of yours! this will be a weekly dinner in our house!! 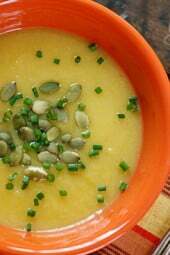 I have been following WW off and on for years, and am always looking for new recipes to satisfy both my and my husband's palate. 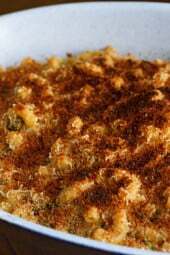 I have made probably 6 recipes from your site in the last few weeks, and they have all been fantastic! Like, I can't believe this is healthy and I can't believe I was able to throw it together after a long day of work fantastic. This recipe in particular was super easy to make, and although my husband has liked all of your recipes, he said this one was his favorite so far! 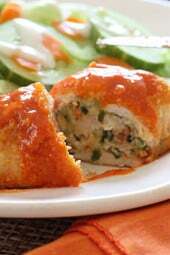 We also love the enchiladas – restaurant quality and full of flavor YUM! I am in awe of your vision and ability to make eating healthy both easy and delicious. We look forward to trying many more of your recipes. Thank you so much! Delicious – thanks for a great recipe! One sub I made was instead of using mayo I used light ranch dressing (mixed with Frank's and lemon juice), and just brushed onto the breast before coating with crumbs. Also used my mini food processor to grate the carrots and celery, which made it so fast and easy. I can't find chicken cutlets but I do have chicken tenderloins. Will the tenderloins be too small for this recipe? This was a winner with my husband. Thank you so much for all you're wonderful recipes!! This was delicious! Added blue cheese crumbles in with the laughing cow (made it a little less skinny) but to die for! Made this tonight and it was amazing!! My husband loved it as well. I will be making this often! I can't even TELL you how much I loved this recipe. I made a few subsitituions….but…the core of the recipe remained the same. LOVED IT!!!! I made this tonight. I liked the idea of the crackers but I ran out of the ones I had leftover from Thanksgiving. One was under breaded but it cooked just fine. I had to use toothpicks to hold my chicken together. I had 6 chicken breasts so I used a little extra dredge and extra hot wing sauce at the end. It was delicious. It's a keeper! I think next time, I will use bread crumbs or something like Andy's chicken seasoning/breading instead of the crackers. I am not a blue cheese fan but I gave the wedges a try and it turned out pretty good! What was the points value after using the bleu cheese and cream cheese? I made this tonight. It was DELICIOUS. Plus I added tobasco to the butter sauce to kick it up a notch! Just made this dish this weekend. It was absolutely delicious! So good! So yummy! I'm hiding the leftovers and hoping that they will still be around for lunch tomorrow. This is mislabeled under vegetarian. Just as an FYI. Made this last night and just had leftovers for lunch and WOW! My supermarket was out of the Laughing Cow wedges so I used blue cheese crumbles and I used panko instead of the crackers. This is definitely a keeper! Made this last night- incredible! Could not believe they're low cal. This morning i wanted to use up my ingredients, so I scrambled 2 egg whites with chopped celery, carrots, scallions, 1 wedge of blue cheese and 1 tbsp of Franks– and put it over a whole wheat english muffin. And for a snack, I cut 3 stalks of celery in half, spread them with the blue cheese and drizzled with Franks. So many good meals came from this! We had this for dinner one night this week, and it was GLORIOUS! I didn't have the blue cheese wedges, so instead I used about 2 oz of blue cheese crumbles and 2 oz of reduced fat cream cheese. I also didn't have green onions, so I just minced up a little bit of spanish (sweet) onions, and I didn't have ritz crackers, so I used regular bread crumbs. It was wonderful! Thanks for this recipe – It'll be a regular at our house! This was time consuming but yummy! Gina how did you cut your cutlets so they are so neat and large? Mine were small and thin when sliced in half. One of our favorites! This is definitely staying in the recipe box! Is Frank's hot sauce interchangeable with tobassco? Made this tonight. The flavors are amazing, and it tasted do decadent! Next time I make this I'm going to use one less wedge of the LC blue cheese, egg instead of mayo, and panko bread crumbs – couldn't get my crust as crispy as I like. 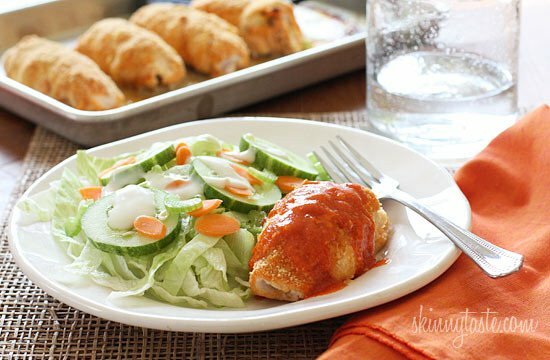 My husband and I LOVE this recipe along w/ just about all of your other stuffed chicken recipes! I say just because we haven't tried them all yet! I also used Plain Greek Yogurt rather than light mayo and it was delicious! Thank you for thinking of such wonderful recipes and keeping them healthy! I made this for dinner tonight. Everyone loved it. I chose this recipe because it was part of the "easy to freeze" category and doubled the recipe with intentions of freezing. Alas, we only have two left! My husband is a buffalo chicken connoisseur and he loved it. Thanks, Gina! Did you ever try freezing this dish? If so, how’d you do it and how’d it turn out when thawed/reheated? Thanks! This was a fantastic dish!. Also used the garlic & herb cheese and for the buffalo sauce, I used Franks Sweet Chili sauce since I don't like to much heat and it turned out great, tender, moist and full of flavor. Thanks Gina for sharing your recipes, going to be making the Dirty Rice with Shrimp next…can't wait. Yummy! Love, love, love this! And so did my family! Have made this a couple of times! Delish! Now a family fav! I made this last night and it was absolutely delicious. I subbed the blue cheese for the garlic one because that's what I had on hand and it was heavenly. We will most certainly make again! Another delicious dish- the whole family absolutely loved it! I did use real bleu cheese and a dash of milk as a substitute for the cheese wedges because I had it on hand, and used an organic ritz-type cracker. Also paired it with the tasty salad you suggested. I don't do WW but love your recipes! I made this, it was excellent! Mine was quite spicy from the Hot sauce i used (a generic brand), but it was still soo so good! I made this last night, and I can't wait to try it today for lunch! I have to admit that mine look nothing like the picture, and I found it a bit difficult to pound out the chicken and get them into a rollable shape without tearing them. I will try the butcher next time and have them do it for me! Also, I have seen a lot of others asking what they can substitute for the mayo. I actually used yogurt for mine. I had plain on hand for the smoothies I make and thought it would be a nice substitute. I also used a combo of garlic and herb laughing cow cheese and some other brand that I won't likely buy again because it's not the same as laughing cow! Anyway – thanks for the recipe!! I will definitely be making this again – if not only to make it prettier next time! HA!